Power rates are high and continue to rise. Solar generates clean and green power for your property at minimal cost. Save money now and lock in smaller rates with a system that works for 25 years! Solaron is an experienced solar contractor, and we only use SunPower solar panels, guaranteed for 25 years of life. This makes for a winning solar combination for of our clients in Pleasant Hill. Another argument for solar is that we live in one of the sunnier states in the Union. 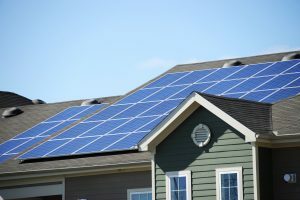 And if you consider the statistics for California and Pleasant Hill, even during the winter, you can rely on a number of sunny days when your solar panels continue to generate electricity. And that location reliability is remarkable, not just for your pocketbook, but also for the threat of global warming. The less power you use from the grid, the less carbon that you regularly put into the atmosphere. So solar energy has a positive effect on the threat of global warming and it begins from the moment you turn it on. Can solar still get more affordable? With the help of a Solaron sales agent, yes it can! Both governments and municipalities offer various incentive programs to effectively minimize the cost of solar installations. These bonuses rely on your specific address, but can substantially minimize the cost of buying your solar panels. So call Solaron today to get more information about how you can save money and the threat of global warming by means of solar power!